Focused on creating a unique feeling of timeless luxury lifestyle before visitors moved inside to see the branded watches, the inspiration was based on the classic film noir genre and images of the Orient Express. As such the inspired concept of “Deluxe Train Journey” was developed for this introductory space. Many multisensory experiences were created for the visitors to mark this different from other trade halls. 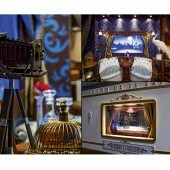 The Salon de TE was created as a marketing component for the HK Watch & Clock Fair. Being the only hall opened to the general public to showcase 145 international high-end watch brands, an introductory space of 1900m2 was required to set itself apart from the other trade only halls. With only 3 days set up, a thematic approach to the luxury journey was created for visitors to interacted with the space before visiting the various branded booths. 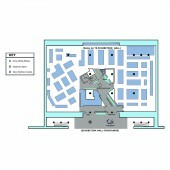 The Salon de TE’s introductory space of 1900m2 required a design to set itself apart from the other trade halls. 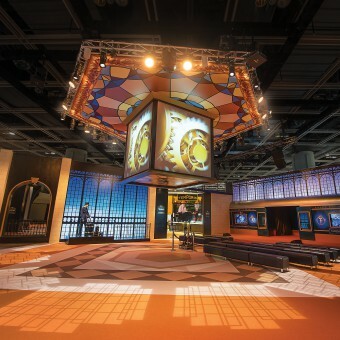 Functionally, the space came in 3 parts and was created to provide a story telling and to entice visitors’ expectation before being exposed to the 145 international high-end watch brands. The functional aspect of the introductory space design includes a concourse reception, a hall entrance, and ending with an open multifunctional space containing a stage and bar for various branded event activities. The Salon de TE project was located at the Hong Kong Convention and Exhibition Centre and was a marketing component of the 2014 Hong Kong Watch and Clock Fair. The duration was for 5 days from September 3rd -7th. From Concept to Completion took 4 months and the most challenging apart from the design was dealing with 3 days onsite move-in period. Due to the 3 days allowance for onsite set up, much of the material was made from prefabricated aluminum system cladded with vinyl, fabric and mesh for a quicker assembly. Other technology features include life-size train carriages for visitors to peer inside to experience multi-sensory visual storytelling from propping to actors and animated moving scenery. In addition, a suspended 3.5m cubed projection screen used above the multifunctional stage was another technology feature. Overall area dimension was 1900m2 approx. this include a 500m2 x 3.5m (H) concourse area which uses cool daylight lighting backlight on mesh graphics. 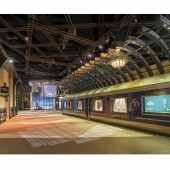 In contrast, the exhibition hall with a 6m (h) backdrop used warmer lighting to simulated evening train platform scene. Most of the surrounding wall where constructed vinyl graphics, mesh and fabric cladding on reusable aluminum system. Apart from the 8 LCD monitors, a large 3.5m cubed projection screen suspended feature was developed. Through research for the meaning of timeless luxury we followed in the direction of collective memories from the golden era of cinema. Romanticising a life where only the affluent could travel in style led us to the idea of royalty and exciting train journey adventure. From this and by having fun within the context of our space, this voyeuristic notion of visitors’ looking into royal train carriage windows became our key theme. A major challenge during the creative development was the three days onsite set-up and this included the AV technical rehearsals. Therefore to tackle this, material specifications and off site mock up and testing on assembly time was vital to ensure success completion. To add drama in the whole experience, we rehearsed with live actors dressed as train porters and created animations of four season’s scenery to establish each zone within the introductory journey. HK Trade Development Council (HKTDC), 2015. 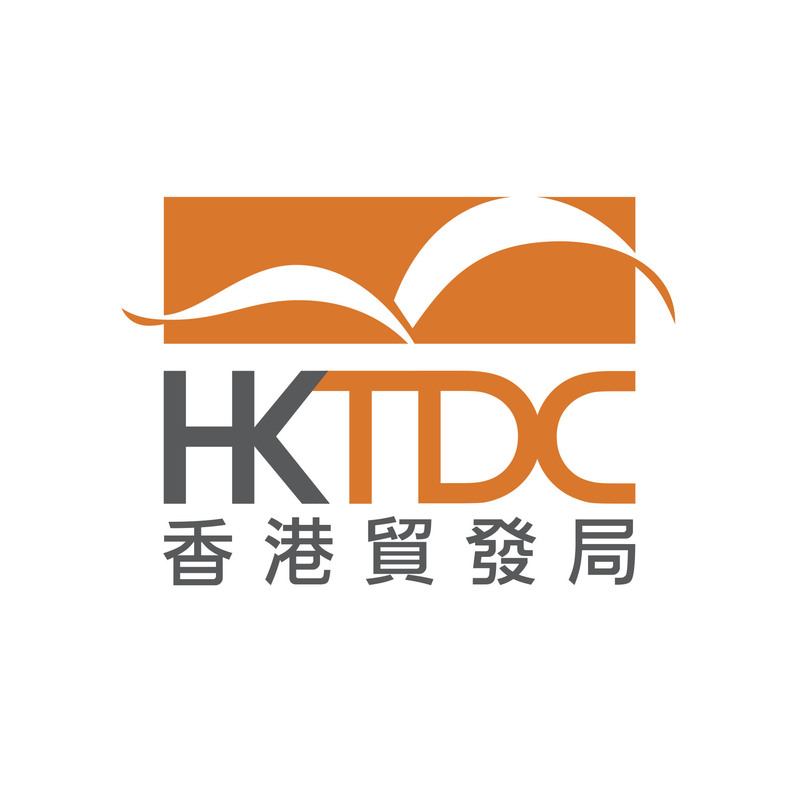 About HKTDC: A statutory body established in 1966, the Hong Kong Trade Development Council (HKTDC) is the international marketing arm for Hong Kong-based traders, manufacturers and service providers. With more than 40 global offices, including 13 on the Chinese mainland, the HKTDC promotes Hong Kong as a platform for doing business with China and throughout Asia. The HKTDC also organises trade fairs and business missions to provide companies, particularly SMEs, with business opportunities on the mainland and in overseas markets, while providing information via trade publications, research reports and online. For more information, please visit: www.hktdc.com. Salon De Te Introductory For Watch Fair by Hk Trade Development Council (hktdc) is a Nominee in Event and Happening Design Category. · Click here to register today inorder to be able to view the profile and other works by HK Trade Development Council (HKTDC) when results are announced. Salon De Te Introductory For Watch Fair by Hk Trade Development Council (hktdc) is Winner in Event and Happening Design Category, 2015 - 2016. · Read the interview with designer HK Trade Development Council (HKTDC) for design Salon de TE here. · Press Members: Login or Register to request an exclusive interview with HK Trade Development Council (HKTDC). · Click here to register inorder to view the profile and other works by HK Trade Development Council (HKTDC). Did you like Hk Trade Development Council (hktdc)'s Event Design? Did you like Salon De Te Introductory For Watch Fair? 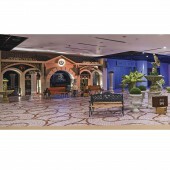 Help us create a global awareness for good event design worldwide. Show your support for Hk Trade Development Council (hktdc), the creator of great event design by gifting them a nomination ticket so that we could promote more of their great event designs.